Best friends are the people in your life that make you laugh louder, smile brighter and live better. – Unknown. This Friday marked my elder daughter’s prom. 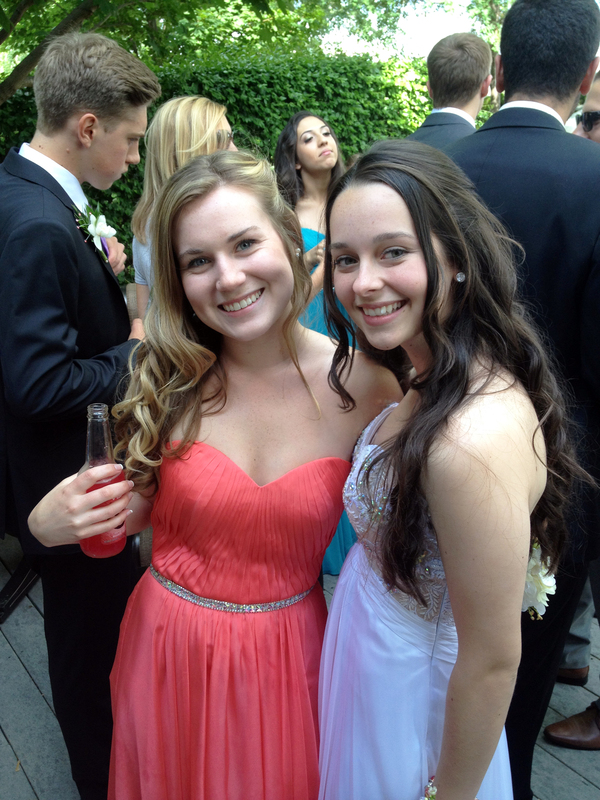 Although not how she had been dreaming it would play out (thanks to the recent break-up of her 3.5-year relationship), she enjoyed a lovely pre-prom event that even welcomed parents (thanks, Ally! ), her official school banquet and then a kickass pool party at a friend’s house till the wee hours. She’s a lucky girl to have such a great group of friends with whom to celebrate the end of high school, all their hard work and achievements, and years spent together. Now, just a few days left of exams and their high school careers will be over. They’ll soon scatter around the country for the next phase of their young lives. I was recently speaking with a good friend whose son is going into second-year university in the fall, and she said that university doesn’t represent the end of you “parenting” your (adult) child, because they will continue have plenty to learn from you, and will miss you, too. That’s comforting, but I’m still a bit misty. That said, I’m so excited to find out what all these kids will go forward and do. Tags: breakup, elder daughter, friends, high school, prom, relationship, university | Permalink.